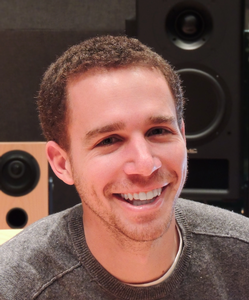 Scott Levine is an engineer at Skywalker Sound in the San Francisco Bay Area. He is a researcher, music mixer and frequent presenter for the Audio Engineering Society. Specializing in immersive theatrical sound, Scott works with sound designers, re-recording mixers and industry professionals to develop tools and workflows to create new audience experiences. Scott holds a Bachelor’s degree from the University of California, San Diego and a Master’s degree from McGill University’s graduate program in Sound Recording where he was a member of the Virtual Acoustics Laboratory as well as the Small Environment Acoustics Researching & Testing Lab. He has previously chaired AES convention paper sessions, and has received a gold award in the AES student recording competition.